When your garage door refuses to open or close, starts making loud squeaking noises, or simply operates sluggishly, this is a clear indicator that your door might be going out. Knowing exactly what to look for can save you time and money by catching the problem ahead of time. Here are some of the most common signs of door failure. A squeaky door is an indication that the door lacks adequate lubrication. Such components that contribute to this noise are dried out rollers, and bearings. It is easy to resolve this issue. Just apply a door lubricant to all of the moving garage door parts. This should fix most noise issues, if not contact a professional because the underlying problem may be more serious. 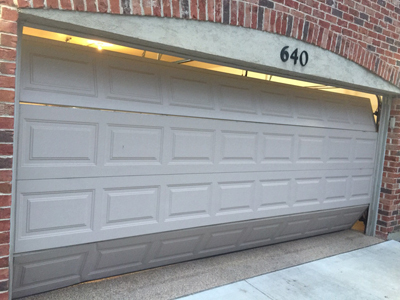 An electronic garage door that operates sluggishly usually indicates that there are torsion coil spring issues. It is quite possible that when this occurs, the springs are worn out. In the event that you are in this situation, don’t attempt to replace them yourself. There are too many dangers involved. It is best to let a professional replace them for you. If your door gives off a scraping noise during operation, it could mean the garage door cables are wearing out. It can also come from the reinforcement struts if they are uneven. Such a diagnosis is best made by a garage door repair West Linn. 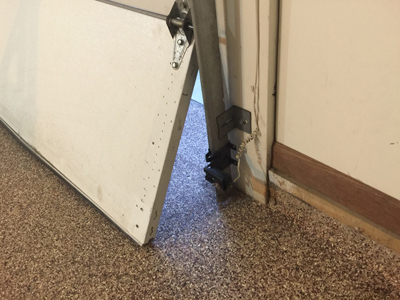 Sometimes homeowners often experience a situation where their door won’t close all the way. Just right before reaching a fully closed position, it forces itself open once more. This is most often caused by some type of obstruction issue. A broken cable or pulley can also cause this problem to occur.